When I visited Korea last month, one of my stop is Kicho cosmetics flagship studio located at Apgujeong, Gangnam, Seoul. Kicho Cosmetics is a premium skincare brands that use natural ingredients so it will be suitable for any skin types also the sensitive skin. Even I lost my way to there, it's still unforgettable for me because the snow was falling and it's my very first snow in my life *excited*. 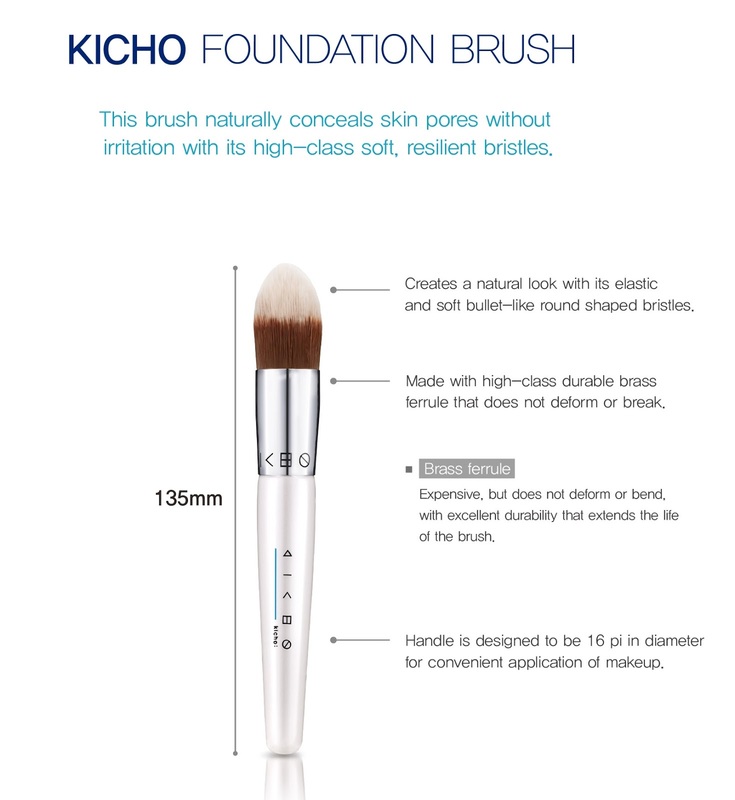 Now I'm going to review Kicho's products and the very first one is their foundation brush. 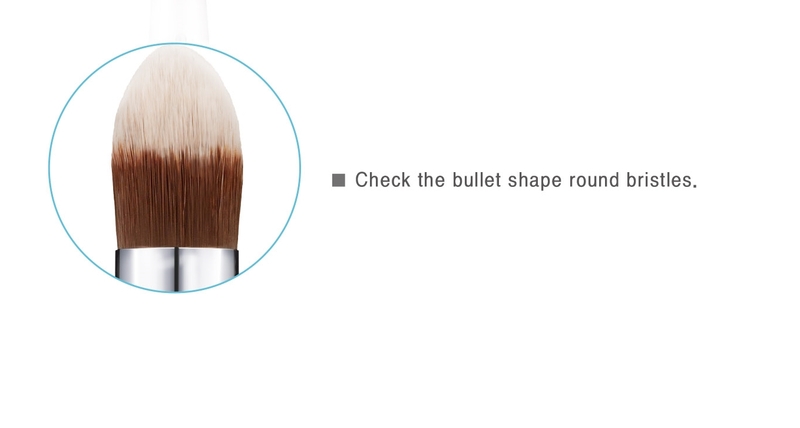 information at the back side of the packaging, I prefer synthetic brush for applying any liquid makeup products like foundation because it will be easy to wash the brush and back to the "like new" conditions. 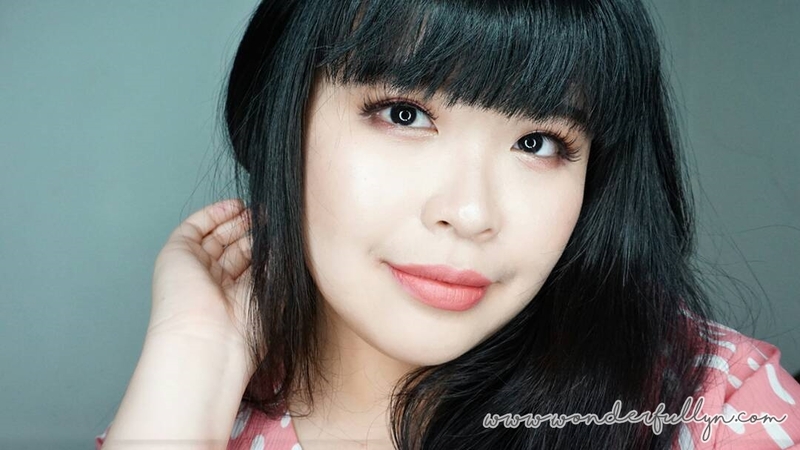 I really love how the bristles shape, it's not like the ordinary foundation brush which is just a flat foundation brush and ir's veryyyyyyyyyyy soft!! The pointy tip will makes you easier to apply your foundation on the side of your nose even the under of your eyes so I don't need to bring smaller brushes for the smaller area so it's very travel friendly. It's feel like a stippling brush because the bristle is not hard which help you more to blend your foundation. And it's becoming "like new" after I wash it and this one not really absord the foundation and very easy to clean. Maybe this one a little bit pricey for foundation brush, it's around US$ 20 but really worth to try!